Design Vision specialises in Residential Interior Design, Aged Care Interiors and Property Styling. Our Director Revy, with very happy client, Ann Nugent from Richardson & Wrench Windsor. “We are delighted to recommend Revy Bryce-Browning for your property styling needs. Revy’s personally tailored approach to each situation, creative flair and practical can-do attitude is the perfect combination to provide our clients with a styling solution that suits every property. No job is too big or small, too soon or long, too price conscious or challenging. Revy will always go the extra mile and can adapt on the run. Although there are many of these services now, Revy is always our first and preferred choice. If you’d like to call us, we’re authorised to provide you with names and numbers of our clients who can share their experience with you, to give you further confidence of Revy’s professionalism. “Revy and her team achieved the exact style and feel for the property. The styling added significantly to the purchase price achieved (We sold in just 4 days!). “We were delighted with Revy’s transformation of a Hampton’s style property sold in Clayfield. Prior to Revy’s staging, the property had been rented and was looking tired. There was a tight turnaround to prepare the property for sale and thanks to Revy, some of the imperfections which may previously have appeared as negatives, disappeared as the property appeared fresh and luxurious. The floorplan also required imagination through furniture, to best help buyers understand the ideal layout for living. “Design Vision were commissioned to style a brand new home that I am selling, Revy and her team were quick to identify opportunities to better use the space we had – she managed to turn a tricky space into a stylish and well zoned living/dining area. They maximised every inch of the space available to them and ensured that the colour palette/tone of the home was perfectly balanced. “When confronted with the difficulty of selling a third level ‘walk up’ apartment, we needed to showcase the features of what was on offer. Having worked with Revy and her team previously I knew she could deliver a style that would impress. However the results were more impressive. Over a three week campaign the number of views and engagements online were three times the average resulting in four and a half times the number of enquiries normally for similar units in the area. “Many thanks for yet another fantastic staging job, this time at Promenade Apartment Hamilton. “We recently sold a Mariners Reach apartment that was styled by Revy and the Design Vision team, we achieved a premium price, in fact the highest three bedroom apartment sale within the complex in the last 4 years (excluding penthouse sales). The presentation of the property was crucial to this outstanding result. I will defiantly be recommending Revy and her team to other sellers looking to maximize their end sale result. Thank you Revy and the Design Vision team, our Mariners Reach apartment has been transformed. Jodi Meynell, Sales Agent, McGrath Estate Agents, Phone: (07) 3088 1555, www.mcgrath.com.au. “Revy managed all of the tradesmen and all the interior decoration. She took my wife and sometimes myself to suppliers of varying furniture products and we were able to pick, with her advice, what we thought would be fine and in fact it was. It is very difficult without the assistance like what Revy gives to know what is out there and how to source it. We found before Revy came on board that we were spending hours upon hours looking at different shops and once she was involved it was more or less just one shop from tiles to carpets to wall fittings, to furniture and in a lot of cases we brought furniture from our old house which fitted in perfectly with Revy’s advice. “After downsizing from a large family home to a riverside apartment, we decided that our furnishings needed an update. After our first meeting with Revy and her team, we knew we were in good hands. Very quickly Revy came to understand our style and what our vision was for our new apartment lifestyle. It was with much excitement that we went to the office of Design Vision and saw Revy’s idea for our home. It was amazing how very close Revy’s designs corresponded with what we wanted. After deciding on the overall theme then the fun began with shopping for all new items. 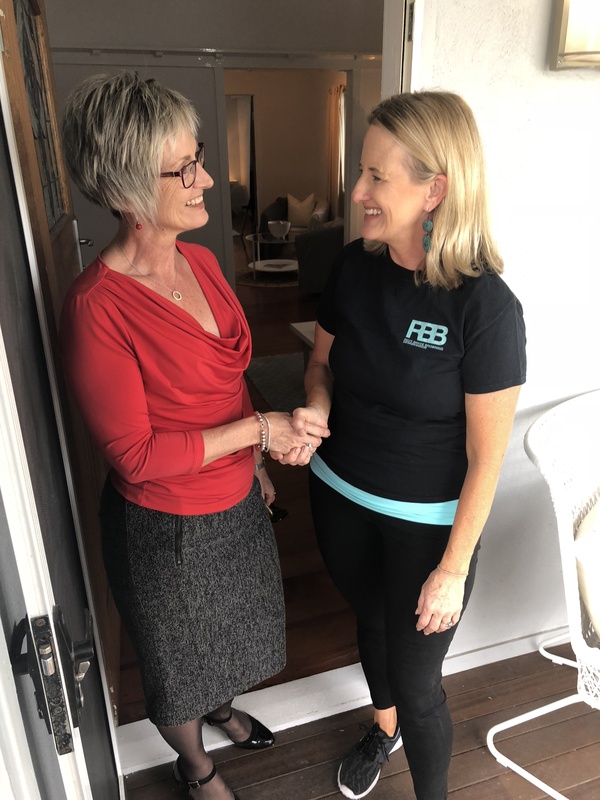 The connections that Revy and her team have with wholesale suppliers in Brisbane is priceless. Without Design Vision, we would not have been able to purchase our beautiful furniture, wall hangings, linen, cushions etc. It was always a great pleasure to go shopping with Revy and her staff to find that special piece. Revy’s willingness to listen and change ideas when required was very much appreciated. Throughout the whole process we always felt that we were heard and what we wanted came first. Friends and family that visit always comment on how everything works together and flows throughout the apartment. “We are very pleased to report that we have received over 30 positive comments from residents today when they viewed the new community centre. The comments ranged from the improved view from the new shutters and the freshness from the new painting and carpet. “Last year we undertook a major home renovation and Revy and her assistant helped us to manage and make most of the design decisions. They took most of the stress out of the decision making process from windows, external and internal colour palettes, flooring finishes and kitchen and bathroom design and fittings, all the while keeping to our budget requirements. It certainly helped us to focus our choices as well as to liaise with all the trades to ensure that the building schedule was maintained. Revy designed our fantastic kitchen and sourced and communicated with tradesmen to ensure that all of the fittings and cabinetry was installed and finished to the highest standards. Revy’s attention to detail was impressive and there were many instances that without her design knowledge and experience the final product quality and finish may have been compromised. The final look for the internal and external spaces, is exactly what we had intended to achieve and her contribution to the project ensured that the style choices and building process was as smooth as possible. “Revy renovated our whole apartment from a dated empty shell to a unique and creative industrial apartment – custom Designing every detail from the kitchen,bar and bathrooms to new bedding and decoration. She project managed the builders and contractors to heritage constraints as well as dealing with building management and all against a demanding timeline to complete ahead of the Christmas holiday period. Her care and attention to detail and also flexibility in making changes during the process meant that the result is extremely practical. “Designvision has a unique ability to match client objectives with outcomes. “Revy has provided her expertise in brand and implementation on many large scale projects for Watpac Property over a number of years. Revy has managed design projects, providing branding programs, colour palettes, corporate identity, graphic design, signage designs and brand guidelines for many of our development projects. When confronted with the difficulty of selling a third level ‘walk up’ apartment, we needed to showcase the features of what was on offer. Having worked with Revy and her team previously I knew she could deliver a style that would impress. However the results were more impressive. With this level of exposure I was able to present the owners with multiple offers which resulted in a record price for the complex. In short, the issue of the walk up was overshadowed by the presentation of the apartment. Revy and her team styled our home prior to sale. They did a wonderful job, from start to finish, all steps from furniture and decor selection to delivery and installation, having been built into the service. Of particular note were the original artworks in Revy’s collection. Thank you once again Revy! Many thanks for yet another fantastic staging job, this time at Promenade Apartment Hamilton. The owners are thrilled with the final result. Thanks again to Revy and her amazing team at Design Vision. We are very pleased to report that we have received over 30 positive comments from residents today when they viewed the new community centre. The comments ranged from the improved view from the new shutters and the freshness from the new painting and carpet. “Revy and her team styled our home prior to sale. They did a wonderful job, from start to finish, all steps from furniture and decor selection to delivery and installation, having been built into the service. Of particular note were the original artworks in Revy’s collection.